Angel Island sits calmly in the San Francisco Bay. Often enveloped by the area’s famous fog, this densely vegetated island becomes more eerie for the abandoned buildings scattered across its land. 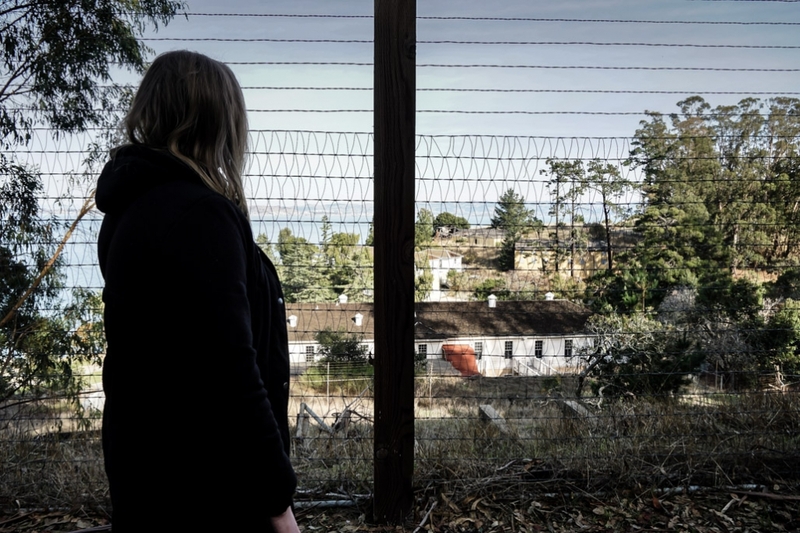 Examining the past of Angel Island is a dark task that brings to light many tragic tales, that not surprisingly make the island one of the most haunted places in California. 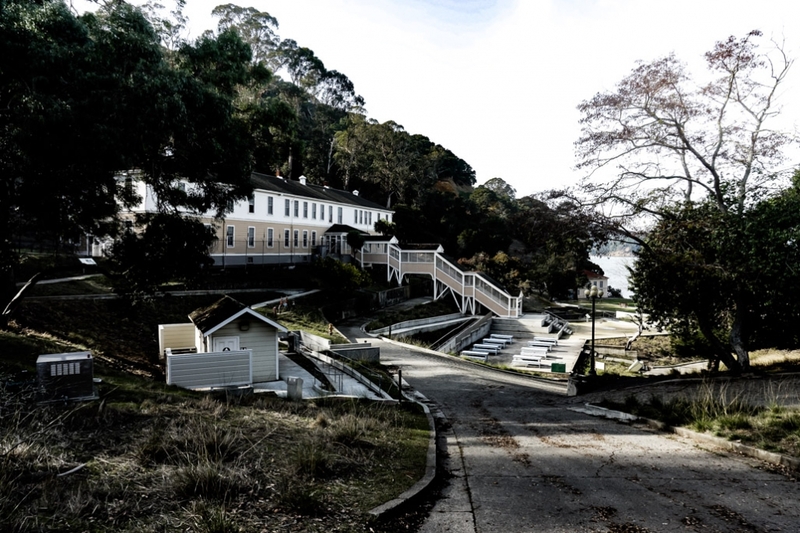 Paying a visit to the Bay Area’s haunted Angel Island. Majority of the tragedy experienced on Angel Island is related to its years as an immigration station for the West Coast. Between the years of 1910 to 1940 hundreds of thousands of immigrants passed through this station. Due to a Chinese Exclusion Ban, implemented after the Gold Rush in fear that American jobs were being stolen, many Chinese immigrants were detained for great lengths of time in terrible, prison-like conditions. 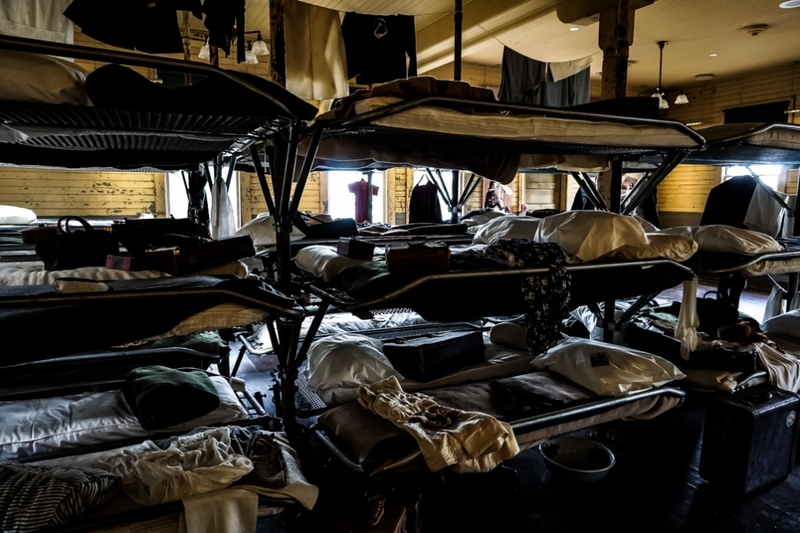 Inside Angel Island’s former immigration station where many were subjected to cruel, prison-like conditions for extended periods of time. 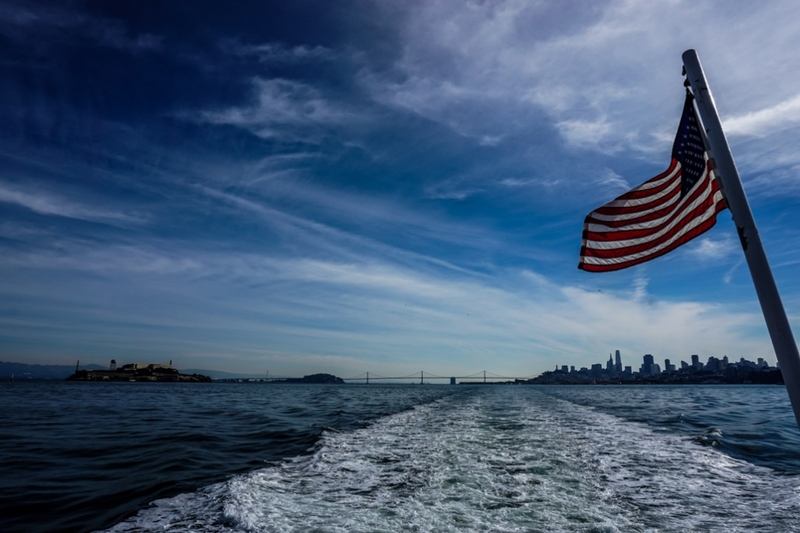 Angel Island served to prevent Chinese immigrants making it onto American soil. As many as 200 individuals were detained in the station at any given time, with many of those kept for months or years on end. Internees were subjected to grueling interrogations were many families were torn apart for answering in slightly differing ways. Looking over at Angel Island’s immigration station, rumored to be haunted. 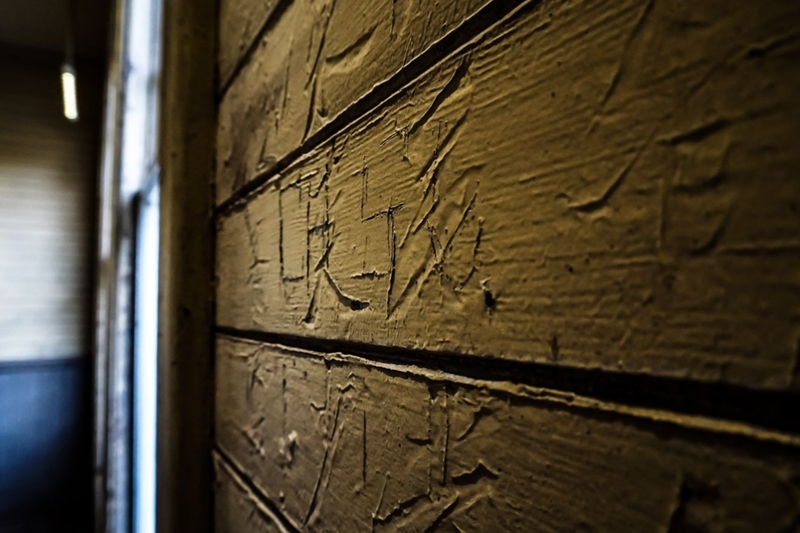 The depressive and torturous environment of the Angel Island immigration station was captured by immigrants who permanently etched their emotions into the station’s walls in Cantonese poetry. Much of these melancholy poems remain today, expressing the bleak outlook of the time. 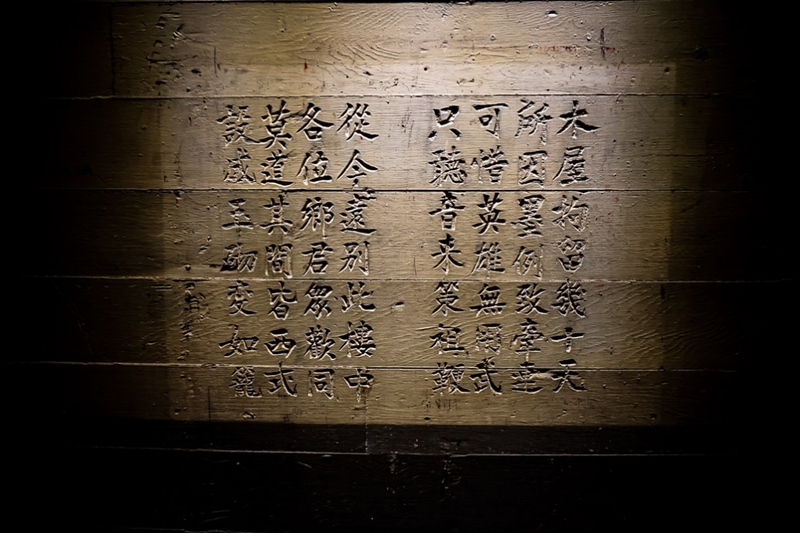 Poetry etched onto the walls of the immigration station on Angel Island. From the negative energy permanently sealed within the immigration station, tales of ghosts and hauntings have arisen. Though this is the area where the haunted tales of Angel Island reside, the island also has a long history outside of the station. 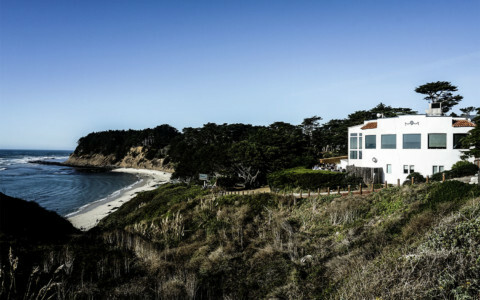 It was used to house Japanese and German prisoners during WWII, has housed American soldiers, has been home to a missile site and used as a quarantine station. Many relics and abandoned buildings including homes, bunkers and even hospitals from this past remain. Could there be other ghosts haunting Angel Island outside of the Immigration Station? 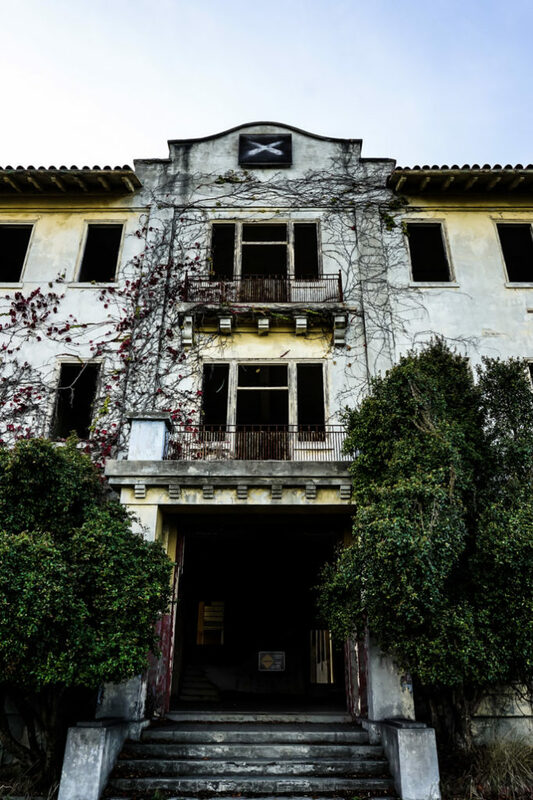 Exteriror of abandoned former hospital on Angel Island. More poetry carved into the immigration station’s walls. Undoubtedly the most famous of Angel Island’s ghost stories is that of a Chinese bride. It is told that a young Chinese woman arrived at the immigration station in the hope of rendezvousing with her husband to be in California. Unfortunately, the woman was interrogated and the decision to deport her back to China was made. Overwhelmed and distraught by this verdict the woman returned to her dormitory to don her future wedding dress. She then proceeded to the nearby woman’s bathroom where she hanged herself with the utilization of a bed sheet. Haunted women’s bathroom in Angel Island’s immigration station. Supposedly the ghost of a Chinese bride haunts this area. 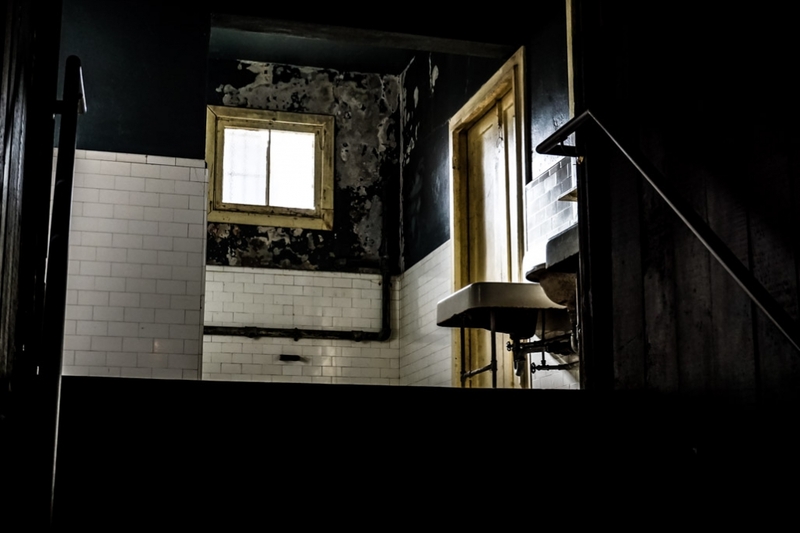 Following this tragic incident, many immigrants staying in the women’s dormitory began reporting a presence within the bathrooms and experiencing electrical disturbances, which made the lights flicker. Many became fearful of this feeling with some even refusing to bathe alone. 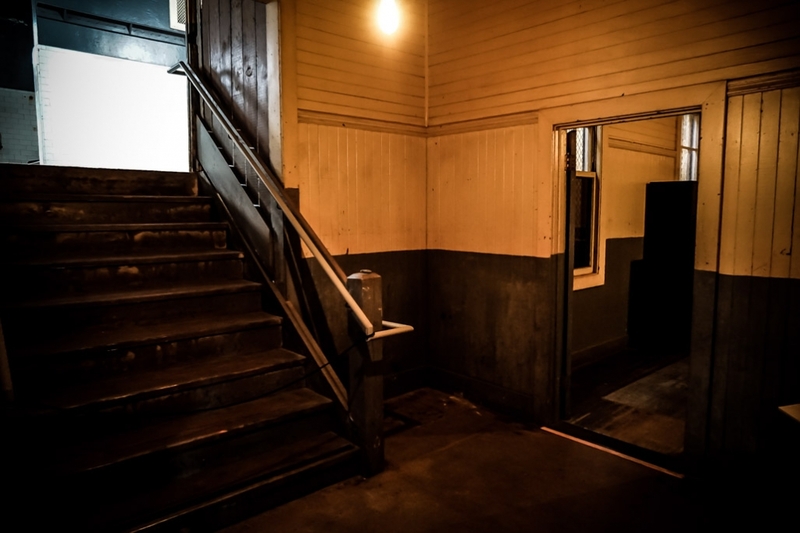 Stairs leading up to Angel Island’s haunted bathroom. Perhaps the most terrifying encounter with what is believed to have been the Chinese bride, was reported by a 16 year old girl. She stated that she was woken suddenly one night by an invisible presence that was pressing down on her chest. This caused her great fear and trouble breathing. The pressure continued to increase, becoming more and more painful until the girl mustered the strength to whimper a prayer out loud. Exterior of another former hospital on Angel, Island. Now abandoned. 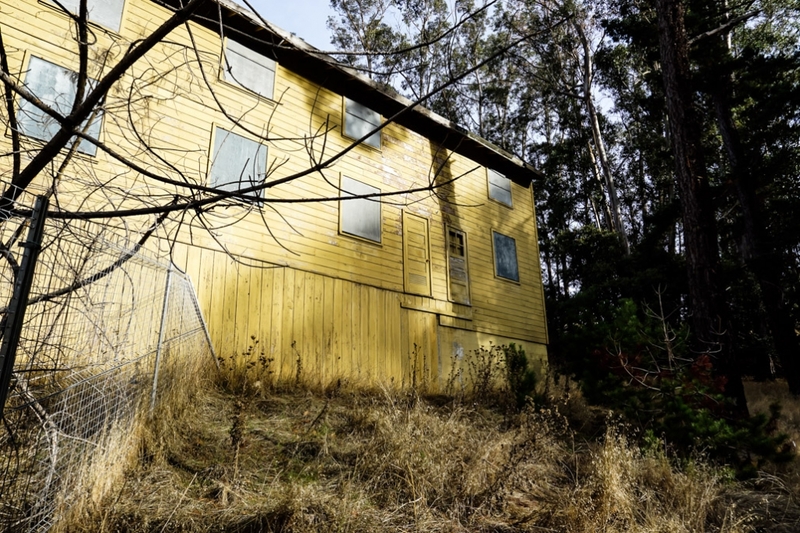 Though there are many other buildings that sit abandoned across Angel Island and certainly look the part of a haunted building, there have been no reports of paranormal activity within them. If you’d like to take a more in depth look around Angel Island and learn more about its ghost stories, check out my video exploring the island. Exploring inside the abandoned buildings of Angel Island. Angel Island is a must visit for residents of the Bay Area. 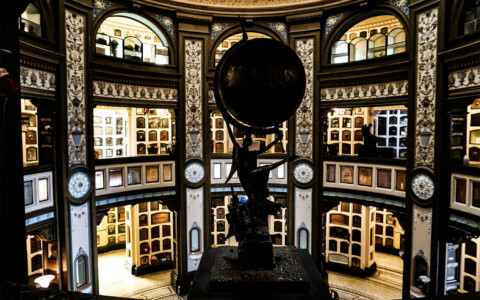 It is a site that tourists will often miss, but is packed with history and contains education museums. The island is only accessible by ferry or by private boat. You can hop on a ferry from either Pier 41 in San Francisco or over at Tiburon. Either of these stations make stops at Angel Island. Be warned to double check when the last ferry heads back over though, or you could find yourself spending the night on a haunted island. Heading away from San Francisco on the ferry towards Angel Island. Alcatraz is visible on the left hand side. 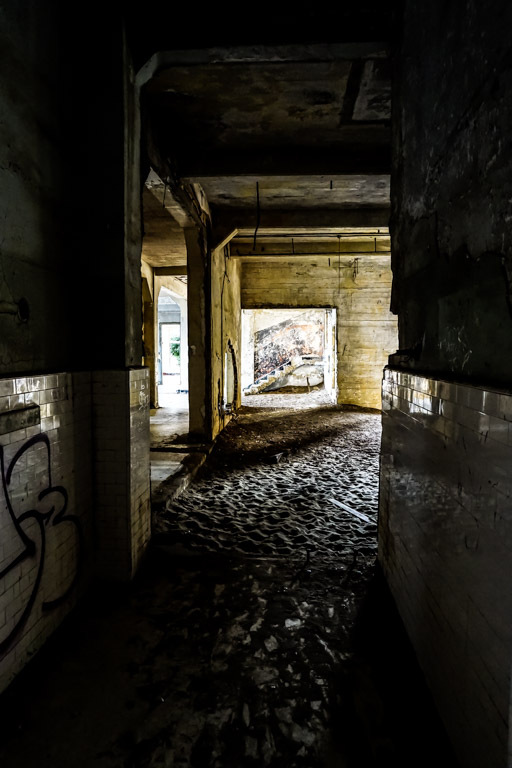 Allow enough time to explore the island which is quite large, especially if you are interested in checking out abandoned buildings and urban exploration. 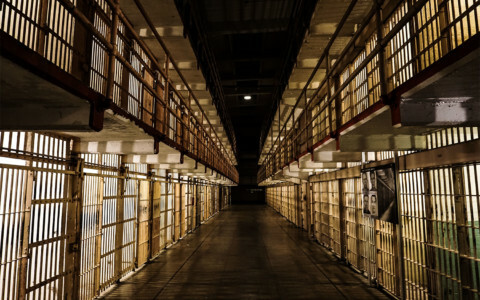 If you enjoyed this article and are looking for other haunted places in the Bay Area, check out my article on the hauntings of Alcatraz. When I was in middle school in the late 90s, we took a field trip to Angel Island. We were touring the main building when all of a sudden I felt super sick. It felt like a really bad flu, a ton of fatigue and nausea. I broke out in a cold sweat and I didn’t have the energy to stand any more. I had to be helped out of the building. I thought for sure I had food poisoning because of the suddenness of my symptoms. Literally, *immediately* after stepping both feet outside of the building, my sweating stopped and I felt totally fine. That’s when I got scared because I couldn’t understand why I felt so sick inside the building and immediately better outside. I told myself maybe it was the smell or something in there making me feel bad and I just needed air, but I know for sure it was something more than just that. Didn’t see or really feel anything creepy at all, but I do think that immediate onset and resolution of my sickness was not normal. Never had that happen to me before or after than one incident. Now I never, ever, want to go back because I remember how sick it made me feel. Thought I’d share my story and thanks for posting! Hi Gina. Thank you so much for reading and sharing this experience with me! It is a very intense place to set foot in. This certainly sounds like an odd experience and one that many people would associate with the paranormal. I really appreciate you sharing this, thank again!